Tiempo: 6h25min (walking time without stops). 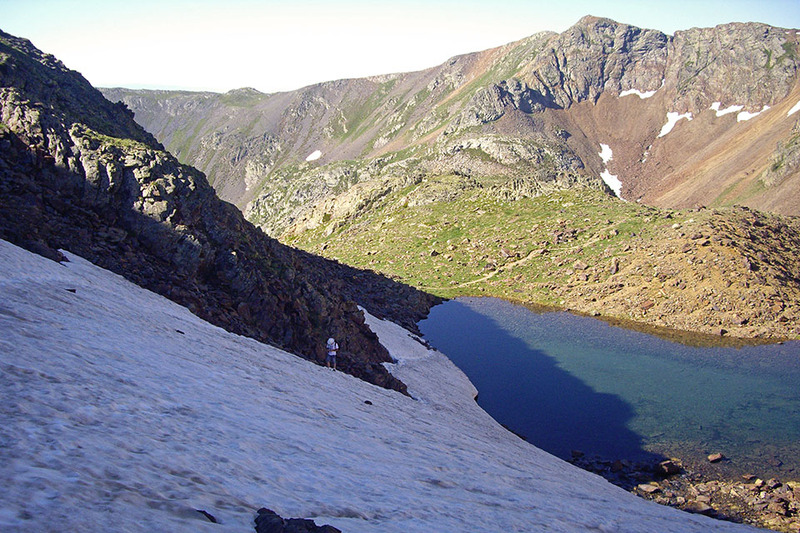 Difficulty: in early summer the use of an ice axe and crampons may be required at the Port de Baiau. Agua: there are several streams along the way. 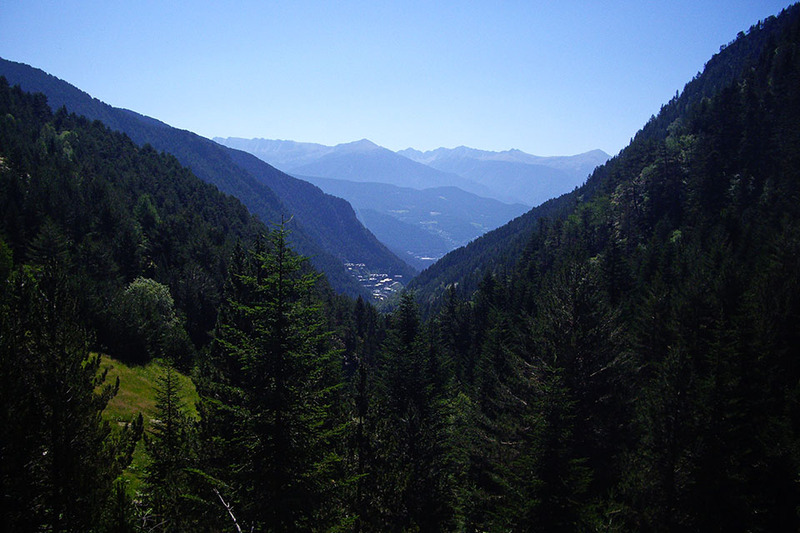 Suggestions: from Port de Baiau, it is possible to climb the Pic de Coma Pedrosa summit, the crowning point of the Principality of Andorra, in 30mins. 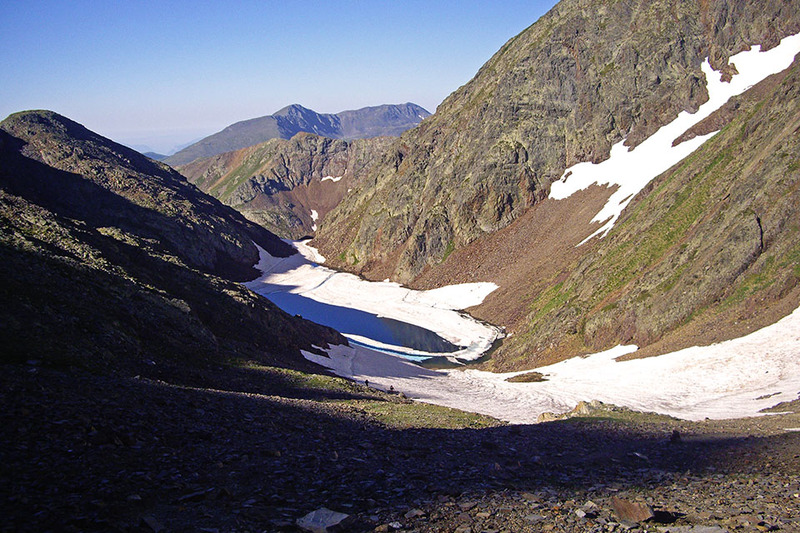 (0h00min; 0 kms) Refugio de Baiau o Josep María Montfort (2.517m).Walk down to Estany de Baiau lake and walk around it on the left, until you stand below Pico de Baiau peak, ignoring a path that climbs up to Collada dels Estanys Forcats. 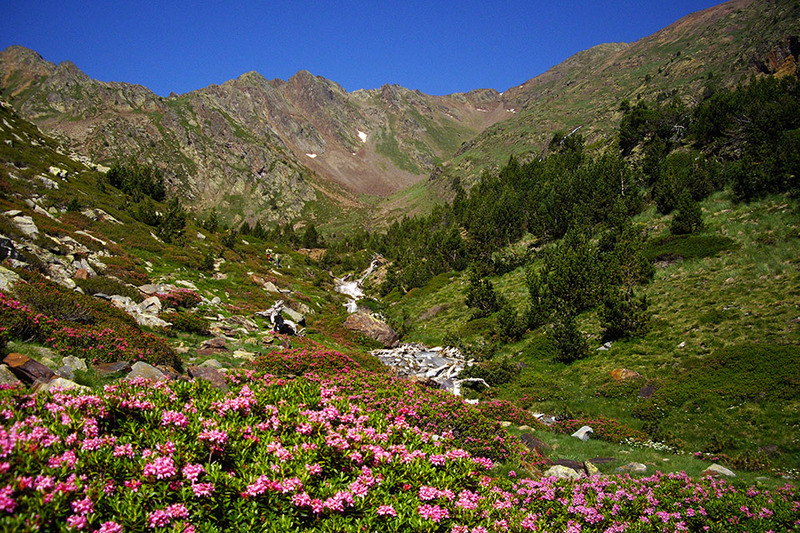 The path heads up through boulders, crosses a creek where you can fill up with water, and continues on a steep climb. 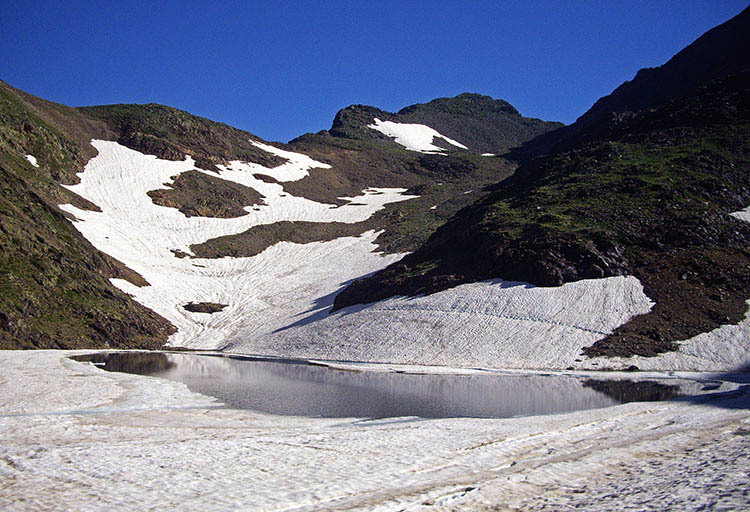 Crampons may be obligatory in early summer. 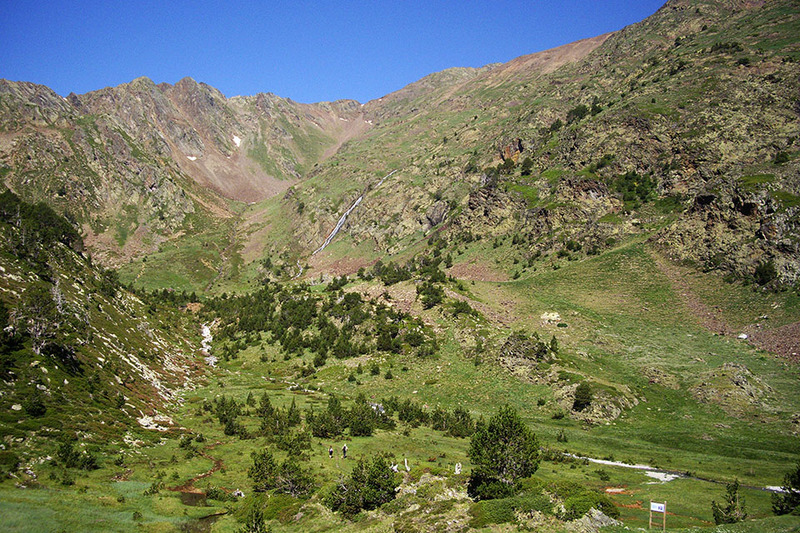 (1h00min; 1,4 kms) Port de Baiau (2.757m). 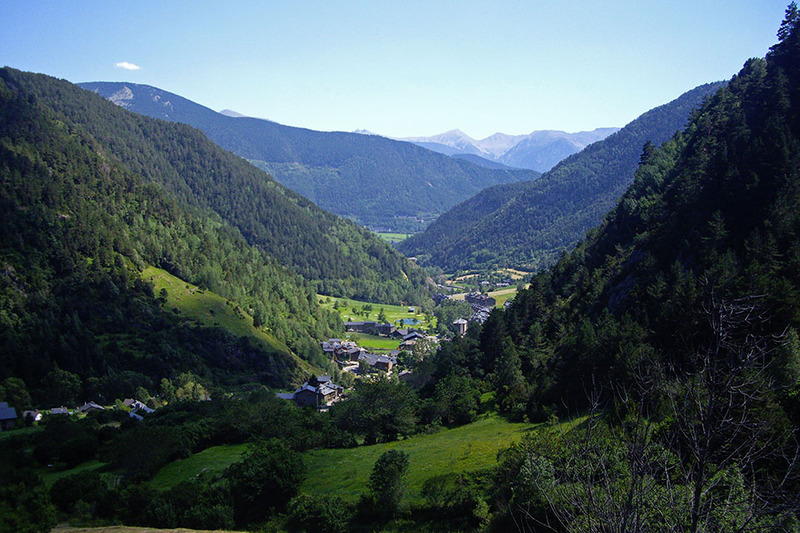 You are entering Andorra. 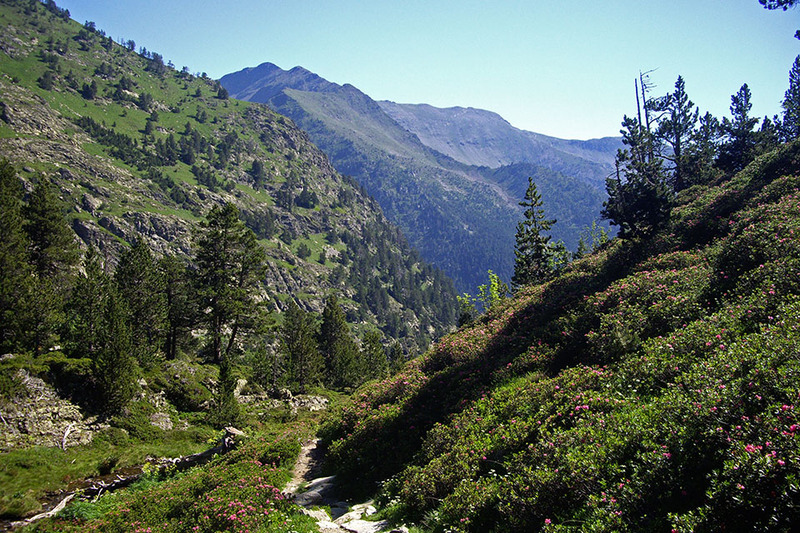 The Pyrenees trail heads south down into the valley. 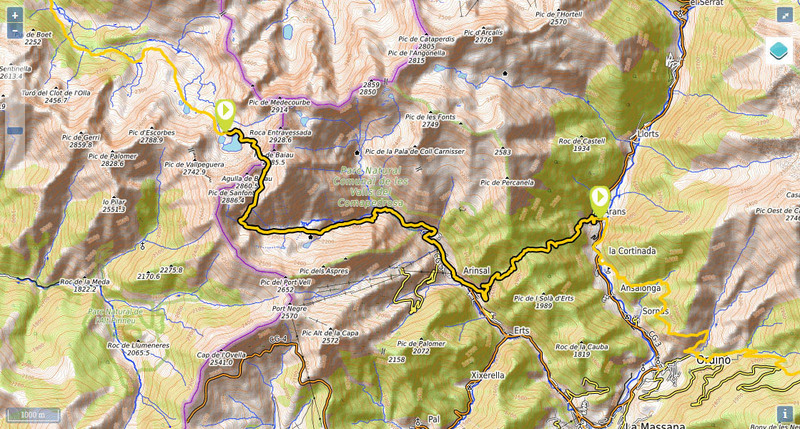 (2h30min; 4,6 kms) Collet de Coma Pedrosa (2.224m). From this point the path descends decisively. 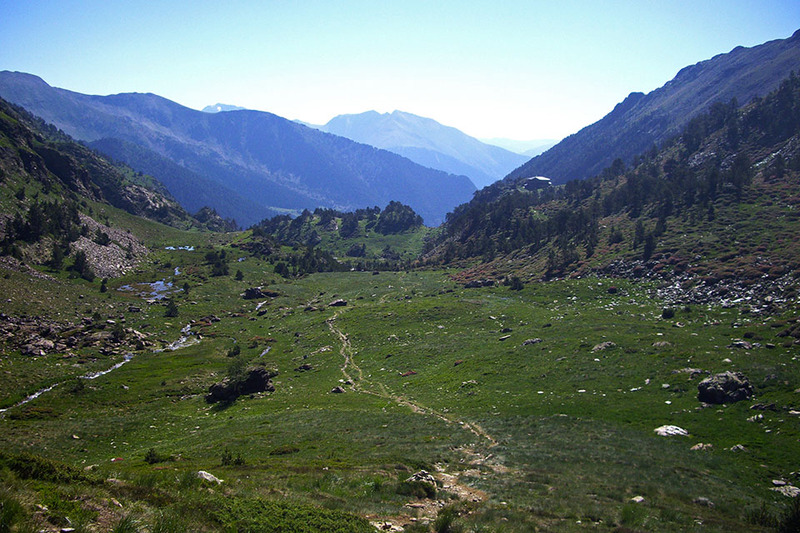 At about 1,750m altitude, you join a wider path that converges with the GR11-1 variant and the Gran Recorrido GRP trails (Andorra circular walk) and GRT (3 Nations). A panel welcomes you to the Parc Natural Comunal de les Valls del Comapedrosa. 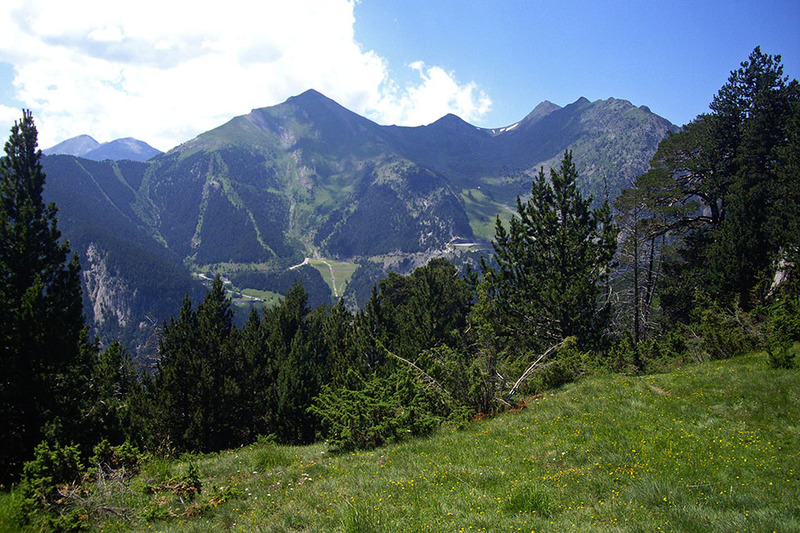 Continue downhill, past a deposit, until you reach the first buildings of Arinsal. Cross a road tunnel, and on the other side you will find a tourist information point. Follow the road towards the centre of the village. 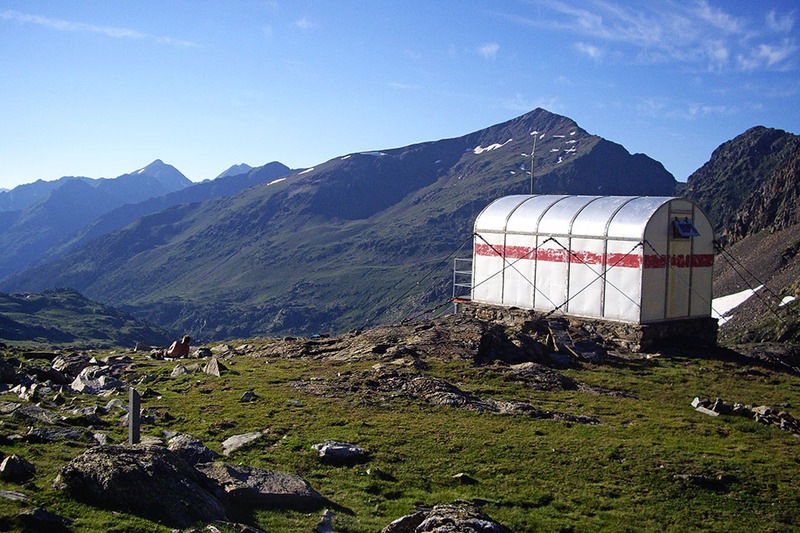 At the beginning of the stage, Baiau or Josep María Montfort shelter (free, 9 places, blankets). 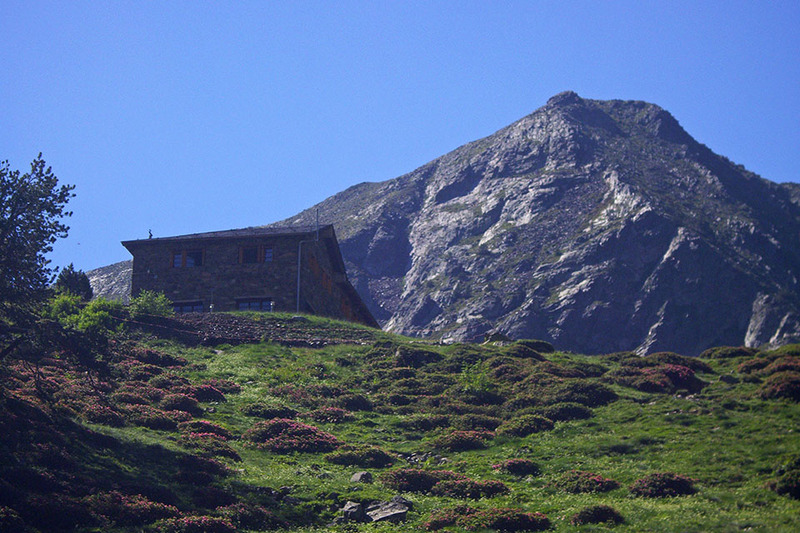 During the stage, you have the Refugio de Comapedrosa (/). 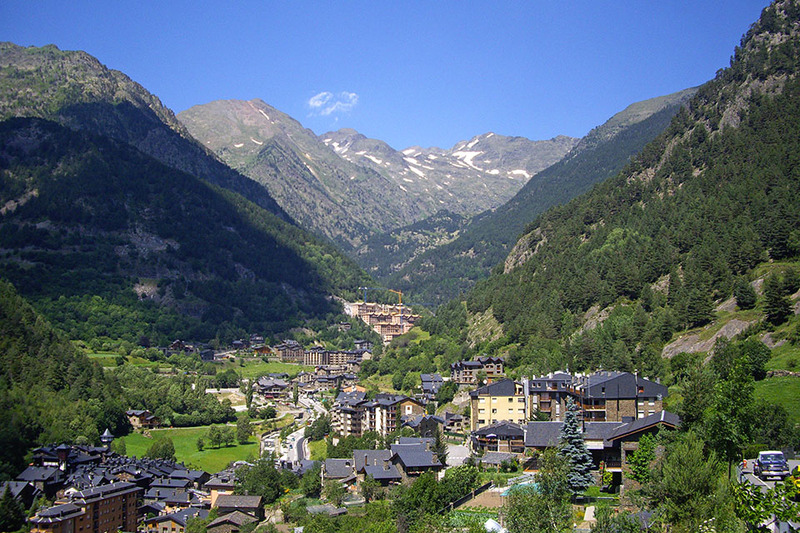 In Arinsal there is a choice of accommodation: Ribasol Ski & Montalegre Park, Hotel Arinsal, Hotel Comapedrosa o los Apartamentos Sant Moritz among others. 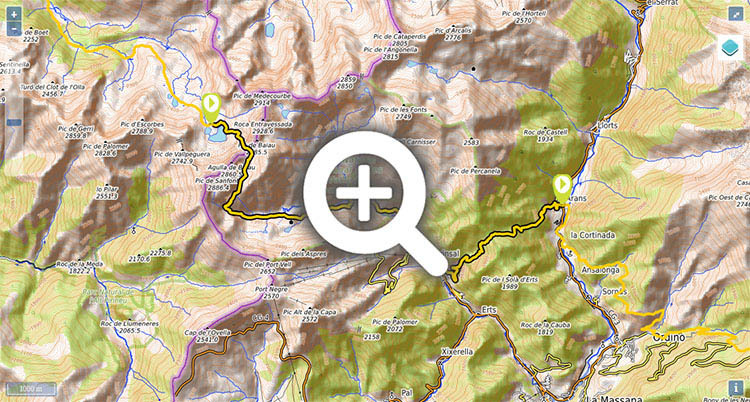 At the end of the stage, in La Cortinada (1km from Arans) you have the Hotel Mu and the Hotel Sucara.